For those times, and all the others, here are 15 positive affirmations to keep you going when the demons get hold. Listening is more important than telling. If I listen intently and am fully present and ask the right questions, I will be able to provide high impact value in those rare moments where I give advice. But mostly, coaching is about helping clients answer their own questions. I don’t need to look like the expert. Sometimes the best coaches are not experts in the area they’re coaching on, because it forces them to stop giving tactical advice, and help their clients find their own answers. I don’t know all the answers, but I can still help my clients find them. Often the best answer will come from my clients themselves, not me. My job is to help my clients ask themselves the right questions, learn how to coach themselves, and stay accountable. Someone, somewhere, will be helped by what I have to say. There are those I can’t help at all. There are those I can’t help very much. And there are those who only I can reach, who I am ideally suited to help. What do I wish I would have known 1, 3, or 5 years ago? If I run out of ideas for what to share I can look at where I was not long ago, because I am helping others to follow the path I already walked. What do I know now that I wish I had known then? Give real value. There’s what I think is value, there’s what the recipient thinks is value, and there’s real value. The best way to know if I have something that will help someone else is if they are willing to pay for it. Where’s the money? I can provide better value if I make money. First, because when people pay it tells me what they value and what I should focus on, and second, because when I make money then I can dedicate more time to providing value and I can hire other people to assist me, build tools, and scale my operation to serve more people, better and faster. Find the low hanging fruit. How I can deliver the most value with the least effort? How can I make the most money with the least expense? It’s not about being lazy or cheap, it’s about providing maximum value as quickly as possible. Start right now. Don’t wait. Don’t avoid. Don’t procrastinate. Whatever it is I know I need to do–do it right now. Don’t let perfection be the enemy of good enough. Can I provide great value without all the tech and tools I think I need? Can I provide great value without being the perfect coach with 50 years of experience coaching? Sure I can. I can serve, and serve well, right now, with nothing more than email and a phone. Automate/outsource/delegate/enroll. I have an obligation to maximize the value I provide to my clients. The more help I have, the more I can focus on what only I can do. Smile more. Even when on a phone call. All sorts of good things come from smiling more. What would the great coaches do? I stand upon the shoulders of giants when I study the greats, imitate them, and build on the foundation they’ve laid. The obstacle is the way. When I’m faced with a problem or challenge in my coaching I look for the opportunity. I ask myself how this obstacle is showing me a way to do things better. The obstacle will show me the way, not only to get around or over the obstacle, but how to thrive by entirely avoiding it in the future. 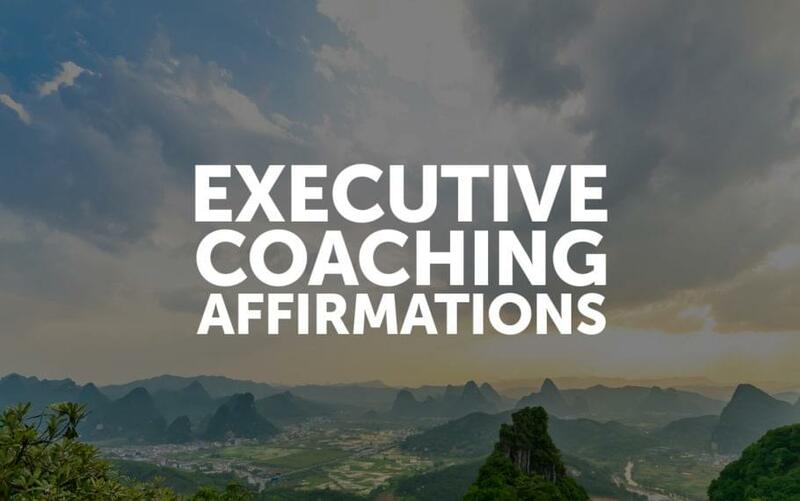 Are you an executive coach? What would you add?